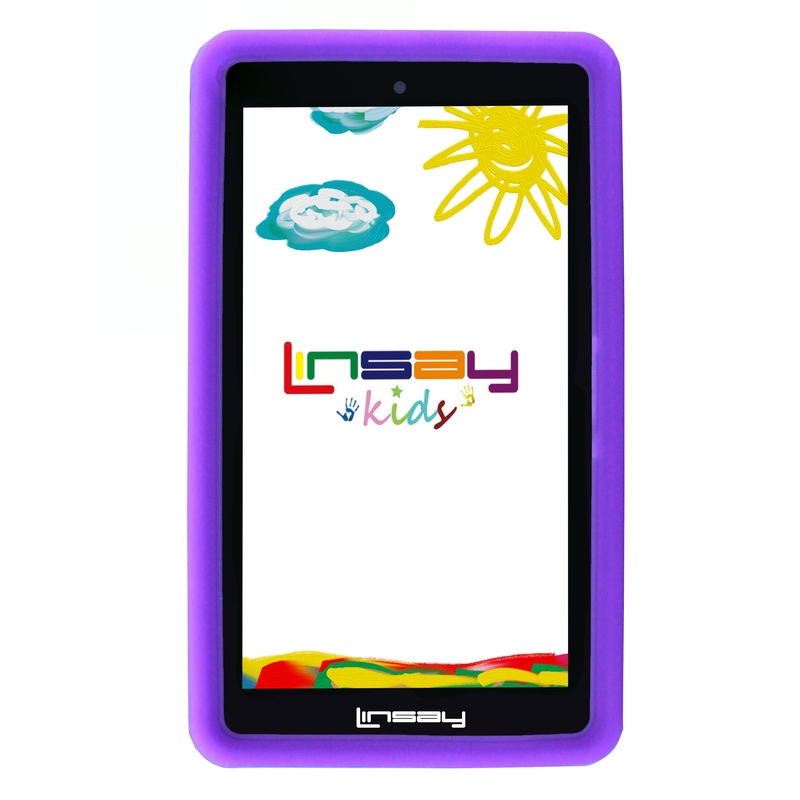 LINSAY F-7XHDKIDSPURPLE tablets are the first tablets to be powered by the 1.2 GHz Quad-Core Processor Cortex A7. This comes with 1GB DDR3 RAM to provide faster app launches, faster website load times, and smoother multi-tasking and better overall performance. This tablet also provides 8GB of internal memory and a micro SD card port supporting up to 64GB. LINSAY F-7XHDKIDSPURPLE battery lasts more than 3 hours reading, of surfing the web on Wi-Fi, watching video, or listening to music. 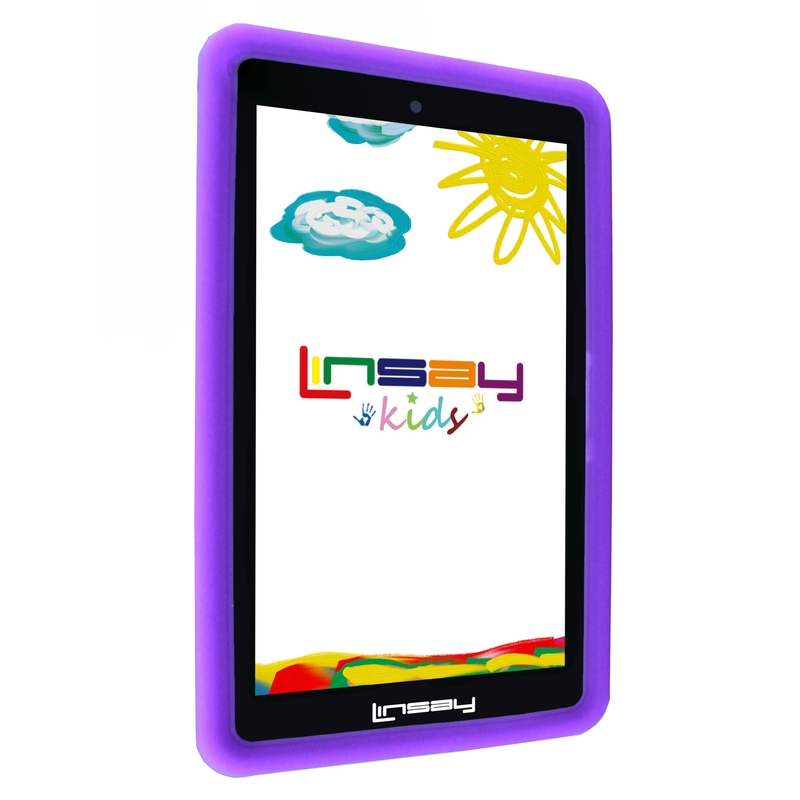 LINSAY F-7XHDKIDSPURPLE has a high resolution display 1024x600 HD Panel Screen widescreen 16:9 for an incredible multimedia experience. It also has a Built in Front Web Camera 0.3Mp for Video Live chat and a powerful Back Camera of 2.0Mp to take stunning photos and videos. The LINSAY F-7XHDKIDSPURPLE display features dynamic image contrast, a unique feature that automatically optimizes the color of each pixel based on the amount of light in your surroundings. 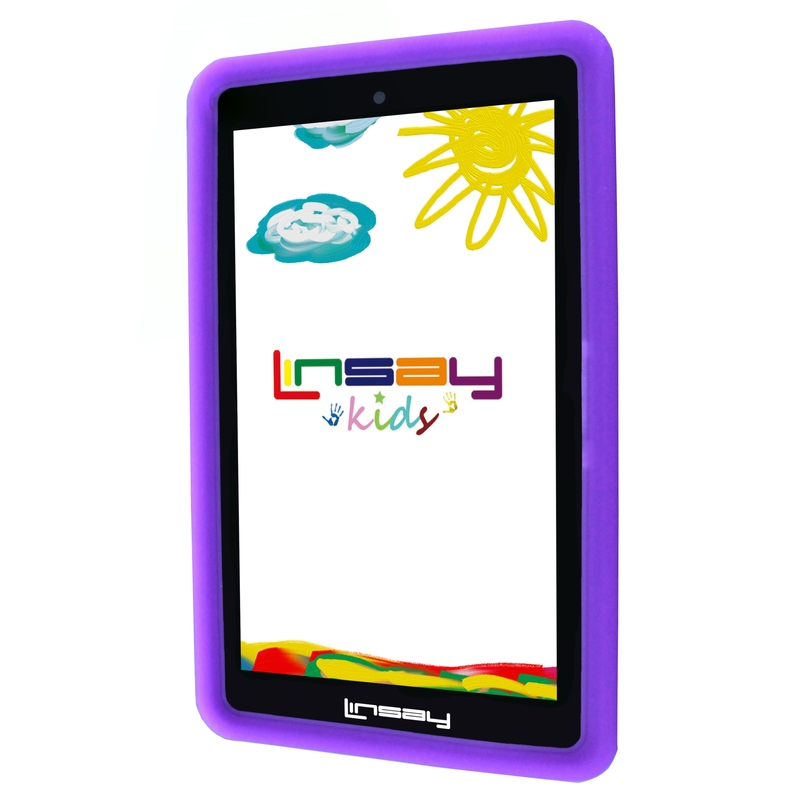 LINSAY F-7XHDKIDSPURPLE tablets are powered by the latest version of Google Android OS 6.0 Marshmallow which provides a more polished design, improved performance and new features.